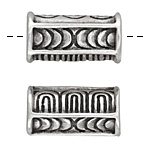 Greek Copper Patina Lined Spacer 6mm BACK IN STOCK! Greek Pewter Filigree Heart Pendant 17x19mm BACK IN STOCK! Greek Copper Patina Popcorn Spacer 6mm BACK IN STOCK! 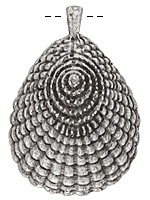 Greek Pewter Fancy Shell Pendant 42x61mm BACK IN STOCK!